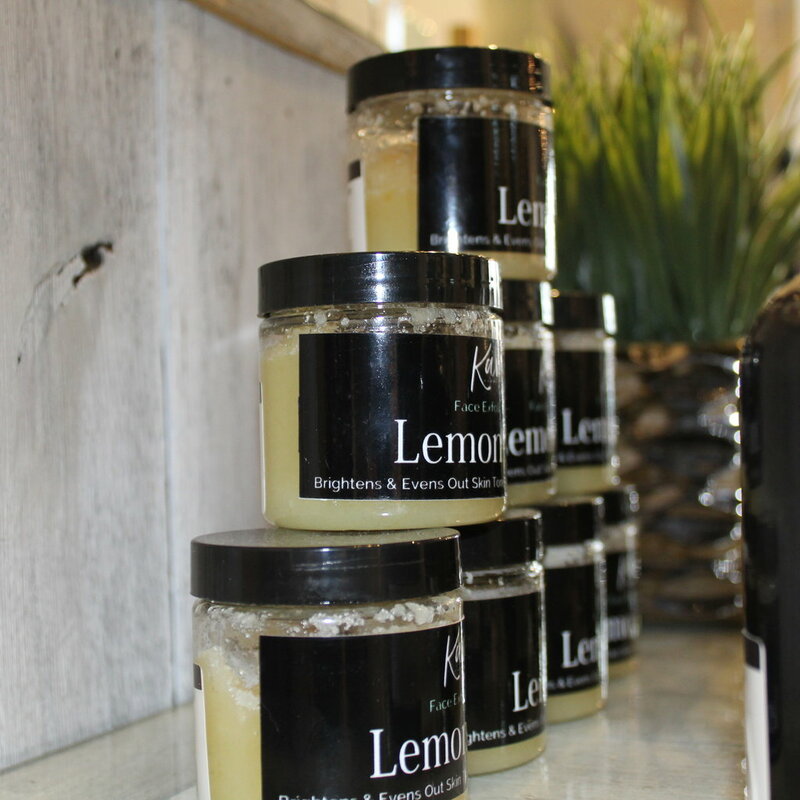 Lemon & Honey Exfoliator is naturally formulated to target uneven skin tone, dark spots, previous scaring and brighten skin tone. Sodium carbohydrate, moisturizing regenerating oils and sea salt this combination gives your skin the bright boost it needs by exfoliating away superficial skin while targeting uneven skin tone. Directions: Apply Lemon exfoliator on damp face. Gently massage on to face in a circular motion, use on neck if desired. Leave on for a few minutes or rinse off. Tips: You may also use on under arms or on dark uneven skin tone. Disposed of product after 30 days of usage. Warning: Test a pea size on skin before applying. Avoid direct contact with eyes. If contact occurs rinse thoroughly with water, Do not use after shaving, use SPF before direct contact with sunlight. Do not exceed usage 1-2 a week. INGREDIENS: Sugar, Dead Sea salt, Sodium Bicarbonate, Sweet Almond Oil (Prunus dulcis), Argan Oil (Argania), Jojoba Oil (Simmondsia chinensis), Honey (Miel/ Honey), Lemon essential oil, Vitamin E, Optiphen (Natural preservative).